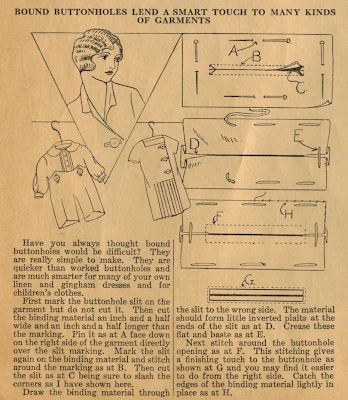 The Midvale Cottage Post: Home Sewing Tips from the 1920s - Bound Buttonholes! 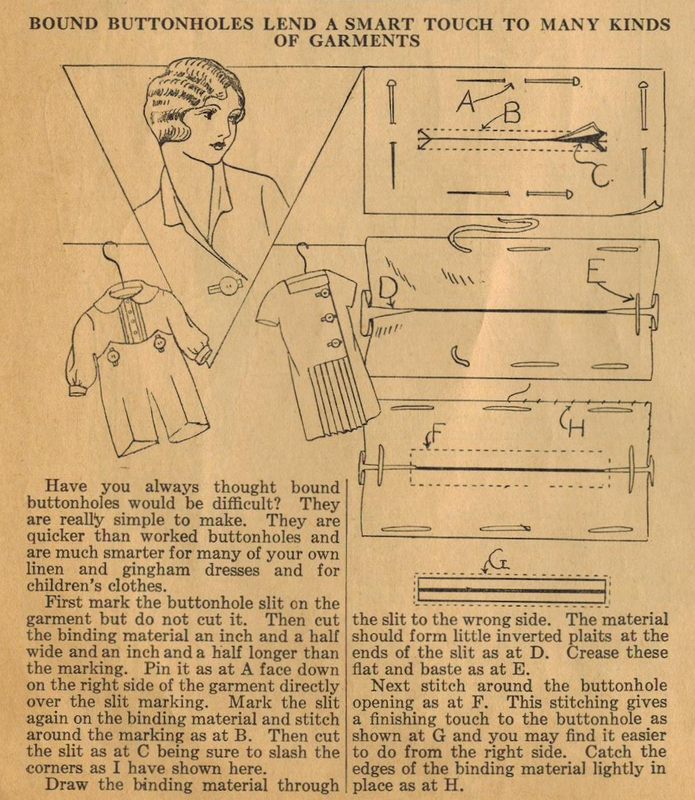 Home Sewing Tips from the 1920s - Bound Buttonholes! The bound buttonhole is the subject of this 1920 sewing tip from fashion columnist and sewing expert Ruth Wyeth Spears. It's such a classic, tailored buttonhole, and Ruth's explanation is as clear as can be. I like how she recommends it for children's clothes as well as yours. With Ruth as your guide, you needn't fear the bound buttonhole.